Singapore’s book industry has been squeezed dry by higher rents and falling readership, with a flurry of bookstore closures in recent years. Over the years, mega bookstores in Singapore have fallen victim to the strong winds buffeting the book scene here. Harris Bookstore, for one, closed in 2012. And in the following year, lifestyle bookstore Prologue also closed the shutters on its store. Even Borders, the American bookstore empire, failed to survive here, sounding the death knell for book stores in Singapore. Most recently, local indie bookstore Booktique has also succumbed to the retail pressure. It announced on its Facebook page that it will be closing its sole outlet at CityLink Mall for good on June 30. 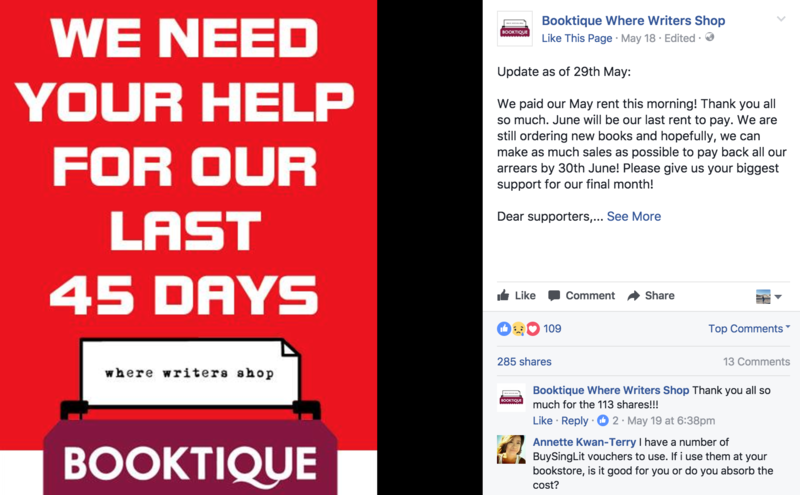 Earlier in February this year, Booktique owner Anthony Koh Waugh shared the store’s depressing plight on the social media platform. But it wasn’t an easy choice for him. Koh told The New Paper that he had hesitated for days before working up the courage to air his grievances and make appeals online. “I struggled with the intention to go online for help… I didn’t want to give people the impression that the book trade is a sunset industry and that book sellers are fools,” he said. Koh revealed that the store has been struggling to pay their rents since March 2016, and even bargained with their landlord to grant them two-weeks’ deferment to settle the outstanding bills. Since then, every following month throughout the year was another wave of financial struggles and they were always cutting it close. However, after the holiday period cooled down, so did the customer sentiments. So for the subsequent months, he toiled to pay off the rents and had to continually ask for deadline extension. Koh lamented that the team is “drained financially since fighting the gloomy economy head-on in November 2015”. But at the same time, he is also relieved that their lease will expire on June 30, so they can finally put their financial woes to an end. He confides that he is unsure on how to raise this huge sum within a month but assured that the team will continue to strive hard to do so. Koh also sent out a desperate plea for help in the post, urging customers to attend their events such as poetry recitals and book launches; and added that they will still be bringing in new books until their last day. Customers can also show their support for the store in terms of sales or just by simply spreading word about Booktique to their book-loving friends. Schools too can help by buying books from them for their libraries. According to the article, he has not drawn a salary for months and has been surviving on his savings from his previous job at a copyright licensing agency. “All retailers are not doing well. We didn’t expect the economic downturn, but it is part and parcel of being in business. It’s shape up or ship out,” he added. 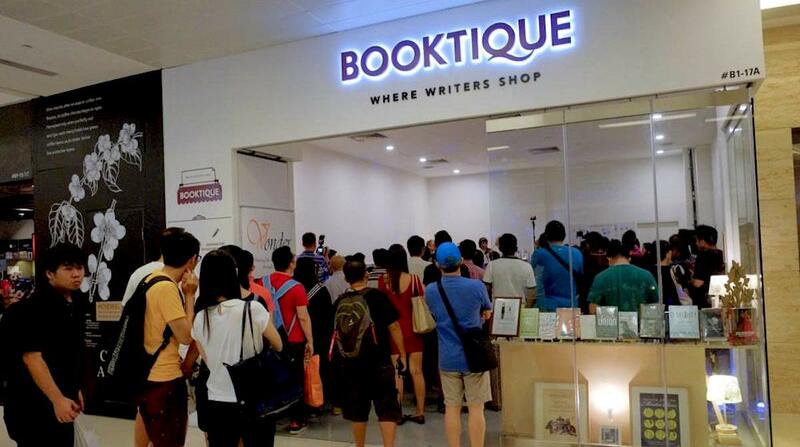 Booktique has been around for four years now, and it must have been painful for Koh to nurture the business amidst the retail slump, only to end up witnessing its death. According to an article by The Straits Times, Koh was inspired to open Booktique in 2013 after reading ‘Start Something That Matters’ written by American entrepreneur Blake Mycoskie. 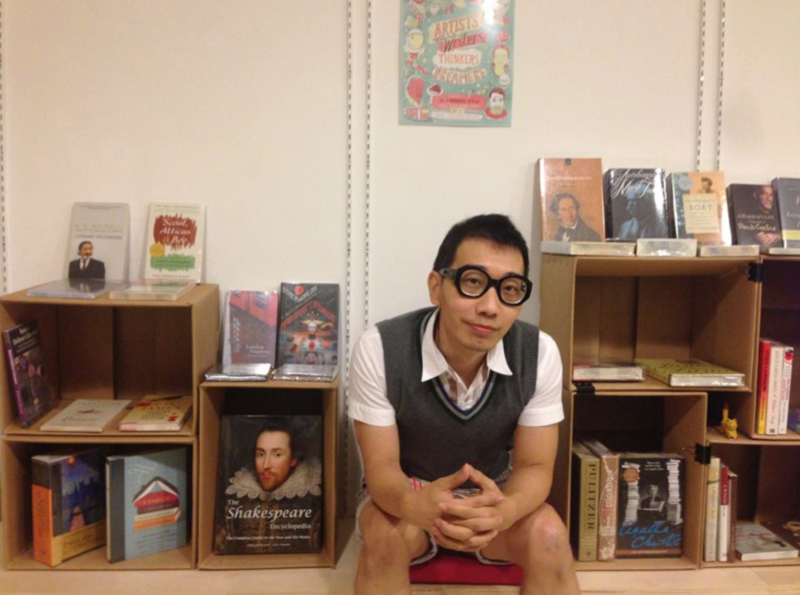 He started his business by hosting small book fairs at cafes in 2013 before forking out at least $10,000 to launch a pop-up store at The Cathay, which ended its run in August 2014. Three months later, he pumped in a capital 2.5 times the previous amount to establish another store at CityLink. He moved there for six months, before it finally became permanent a year later. From the get-go, Koh had a clear business vision in mind. He did not want to bring in bestsellers that populate mainstream stores, he refused to sell stationery, and he did not want to jump on the e-commerce bandwagon because he prioritises human interaction. So what’s next for Koh now? “One thing for sure is we will return to our book fair days and not have a permanent shop anymore,” wrote Koh in the Facebook post. Tentatively, the former freelance writer said that he plans on taking a three-month break. Thereafter, he will return to his early days as a pop-up bookseller. In a separate interview with Yellow Pages, Koh noted that many walk-in customers tend to ask him why he chose to open a bookshop when many others are closing down. 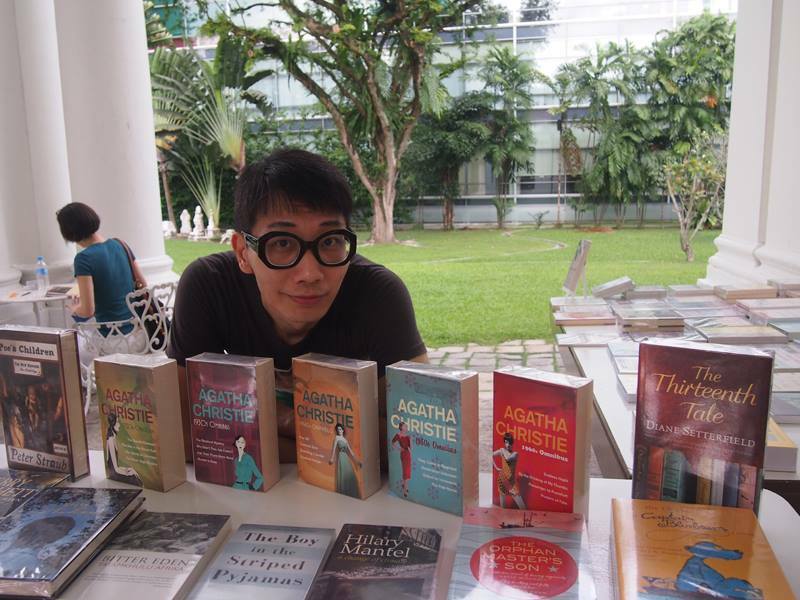 On that note, he hopes that more independent bookshops will spring up in Singapore. 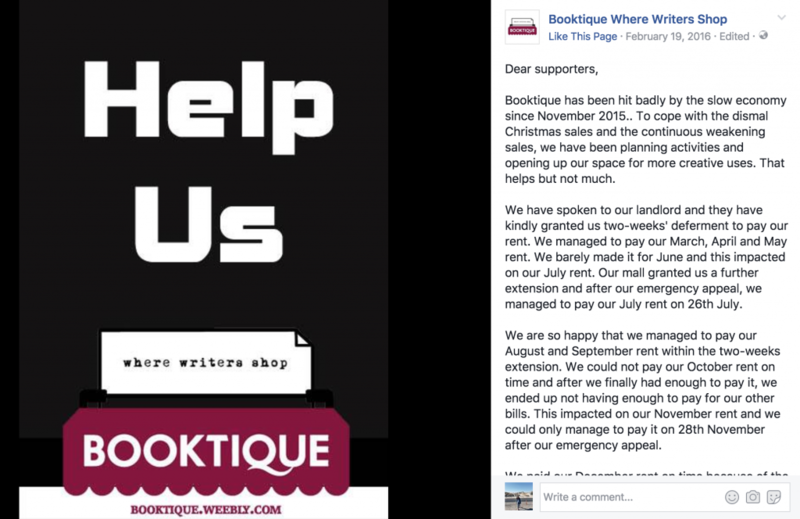 Commenting on Booktique’s closure, Koh said that although this business venture has practically wiped out his savings, he regrets nothing.